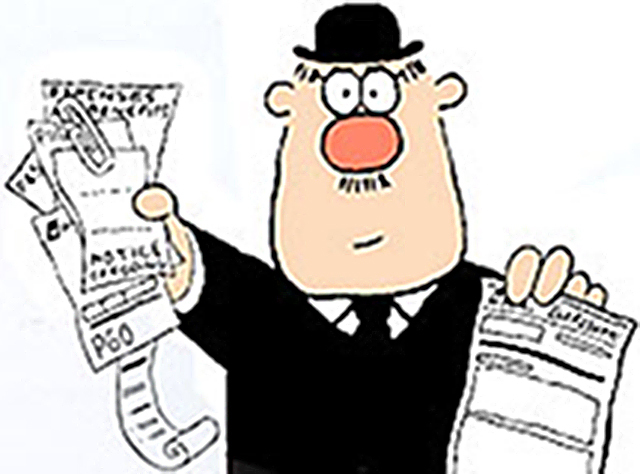 Hopefully you've already read my LinkedIn post on the 6 ways of how to avoid an investigation from the Taxman. But following that guide won't guarantee that you don't get picked for a visit from the Taxman. Approximately 5% of investigations are made at random, therefore you can never be 100% sure that you are safe from the Taxman's gaze. Let's say that the worst happens and you receive a letter from the Taxman saying you are under “full investigation”. It is likely that he will ask for all your business records to be handed over. So, how do you deal with a tax investigation? What is the Taxman entitled to? Tax Investigation Tip 1: Start taking control and speak to him first. Ask him why he's enquiring and offer to explain your business to him. He's probably picked you for inspection because his computer has identified that one of your performance indicators (i.e. gross profit margin) is out of line with other businesses in the same sector. If you can explain why it is out of line it could restrict the scope of his visit. Tax Investigation Tip 2: Take control of the situation and have the Inspector examine your books at your accountant's premises. This has the advantage that the Taxman can't snoop around or ask you on the spot questions. Instruct your accountant to tell the Taxman to put any queries he has in writing. That takes the pressure off you giving snap answers. Tax Investigation Tip 3: Take further control by offering the Taxman half a day to inspect the records. You have to give the Taxman reasonable access, so he can ask for more time depending on the complexity of your records, but try and set boundaries at the outset. Tax Investigation Tip 4: Take even more control by not allowing him carte blanche to take copies of everything he asks for. Instead, ask him to mark up all the pages he would like a copy of. Then offer to copy them for him and send them to him in the post. This has two advantages: a) it has been shown that it reduces the amount of copies he takes, and b) you can see what it is that the Taxman has found so interesting to instigate the enquiry in the first place. Tax Investigation Tip 5: Continue to take control by not allowing him to take copies of computer data files. Just offer to give him the hard copy print-outs. This will stop him from putting your data through his own computer interrogation software he keeps back at the Tax Office. Tax Investigation Tip 6: If you do end up giving him your records, take control and don't let him have them for an unreasonable length of time. Tell him that you need the books back in order to run your business. This will prevent him from going over your books again and again and again in order to find something, however trivial in order to justify his enquiry. Hopefully these tips will ensure your visit goes off without serious incident. And if there's one message I really want you take away from this it's to not allow yourself to be the Taxman's punchbag - so fight back and TAKE CONTROL! If you found this useful remember to subscribe to my tax tips using the boxes at the foot of this page, where I provide useful news and advice on making sure you never leave a tip with the Taxman - straight to your inbox.